Whatever though. We did great, the audience liked us, we had fun, and we made knew friends so BLAH TO JUDGING!!!! People like different things. 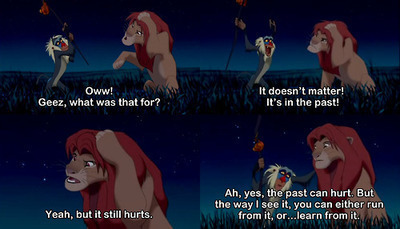 That’s just life. At COI last year we talked about global competitiveness and how competition really drives collaboration as well. With COI this year this idea came up again when we talked about how a creative thinker needs to be okay with letting go of ideas and not claiming them as their own. If you have an idea, sure it might be good, but once a few other people brainstorming more and collaborating with you on the idea, it can grow to be fantastic! It is also important to find people with different ideas, because if you talk to someone with the same ideas as you, you likely won’t think of anything new. The really great ideas come from connections between two seemingly different ideas. This is why I believe competition should be about the experience over the “who wins”, because even if you don’t win, you will still take away something from the engagement with other people with different ideas on similar topics. I Today was kind of fantastic! 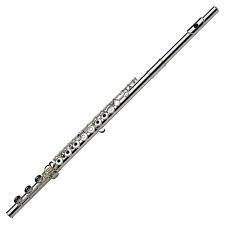 GOT TO GO TO BAND!!!!!!!!!!!!!!!!!!!!!!!!!! I finally got to go to band for the first time in forever and I absolutely loved being able to play with the upper schoolers since the pieces are much more challenging for me. I also got to experience the other math class, (which I think I like better than my own actually because there a lot of people I like to compete with in that class), and I’m actually now ahead of my own class. After school, we had a run through of 15 Minute Hamlet because the one act play competition is Saturday and we need to make sure we are still prepared for that. But before then, we have Mort this week!!!!!! Tomorrow is preview night and I have to keep saying it so I can process that this is actually happening! The production should be pretty awesome and we are all super excited! Today we did a nice run through of act 2, so hopefully we are prepared for tomorrow. Keep your fingers crossed for us. Then after all of that, I still had acro as well as teaching some of the younger team girls their routines. (That’s right, I was a teacher and student for gymnastics.) I really love choreographing floor routines. It is just so much fun! The best part though is when I teach a girl their routine and they love it too. I think I can relate to teachers at school well because I teach children too. The proud feeling you get when your student makes an accomplishment is beyond words. One of the girls I was teaching today liked her routine so much that she stayed over an hour after her practice was done so she could keep working on it (her sister had to stay anyway, so her parents were okay with leaving and coming back later). This girl typically takes a while to learn routines and when she does they are usually pretty sloppy at first and she doesn’t always simile, but she learned it in 30 minutes and was smiling the whole time and looked like a gymnasts too! It was pretty great. I try to create the routines and music specific to different girls, so I’m always glad when I know that I made a good decision with routines. Being a teacher is a hard job that way; it is hard to always teach in a way that is best to a particular student. We are all teachers and students. As a teacher I am proud of my students, and as a student, I am proud of my teachers. Mort is the most elaborate production we have put on at MVPS in 5 years at least (that is how long our director has been at the school) and if we can pull everything together it should be amazing! I know we can do it,we just have to do our very best! Today was the first time we went through it all, plus we had all of our costume, sound, and light cues to accompany it. It was an intense and long day of rehearsal, and we did pretty good. Things were falling together and it was spectacular! 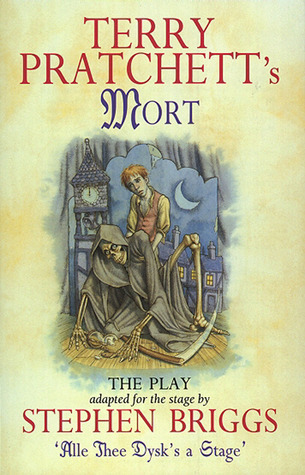 The show is based on Terry Pratchett’s book Mort which is about a young boy named Mort who finally gets apprenticed off at the hiring fair this year, and he is chosen by none other than Death himself. Now unlike what you may thing, Death does not kill people; people kill people, disease kills people, Death takes over from then on by ushering the souls into the next world. While learning from Death, Mort goes on an epic adventure after falling in love with Princess Keli (that’s me!) and ultimately messing up history by killing her assassin. To try and correct what he started, Mort must team up with Death’s daughter, Ysabell, and a powerful and ancient wizard, Albert. Mort sees the world and time itself from a whole new perspective, and in this play we take the audience on this journey with him complete with witches, wizards, princes and princesses, high priest, partying towns people, magic, battles, and the struggle of time. Tuesday is preview night and then Wednesday through Friday are show nights as well; then on top of that we have our one act play competition where we will be preforming 15 Minute Hamlet, this next Saturday. To make matters more intense, I also am messing with my schedule Monday and Tuesday for band, and then again Friday when we have COI all day. Next week is going to be crazy fun! That is the Question; What is the Choice? Asking questions is really important, but lately I’ve been discovering that it isn’t just about the questions you ask, it is about the choices you make because of questions. A single choice can change a life, but that life isn’t just composed of one choice; a persons character is built from all of the big and little choices that person makes through out a life time. Lately I have been quoting Hamlet often because we are putting on the production of 15 Minute Hamlet so I’ve become even more familiar with it. One of the most famous quotes from Hamlet is, “To be or not to be / that is the question.” Hamlet is contemplating on killing himself or not, but him just asking the question doesn’t say a ton about his character besides inferencing that he ponders these things so he must be going through difficult times. 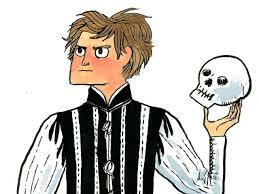 What defines Hamlet is that he makes the choice to not kill himself and instead he fights to discover the truth about the king’s murder in order to bring justice to his father. Hamlet is courageous enough to keep fighting even if things are getting difficult in his life, he is cleaver enough to plan a scheme to discover the couscous of the new king, his uncle, and he is audacious enough to challenge his mothers loyalty. Hamlet had to make the choices to fight, to scheme, and to challenge when he could have just as easily have made the choices to do nothing and let his questions go unanswered. Life is full of questions. Questions propose choices. What you make of those choices is what defines you as a person, so try to make good choices, but when you find yourself not making the best decision, choose to learn and grow from it. Our failures tell our story just as much as our successes do.